A project which seeks to re-engage Cardiff with Flat Holm has secured phase 1 grant funding towards the proposed £1.3m development of the Island. The Heritage Lottery Fund has awarded £152,200 of development phase funding to Flat Holm; A Walk Through Time – a joint project between Cardiff Council, RSPB Cymru and the Flat Holm Society that seeks to breathe new life into the Bristol Channel island to preserve its heritage, protect its rich wildlife and attract more visitors to the site. Flat Holm is steeped in history and the earliest known visitor to the island was St Cadoc in the 6th Century. During the 18th century, the island’s location made it an ideal base for smuggling. It is probably most famous though for being the site of Marconi’s first wireless signal transmission over open sea in May 1897. 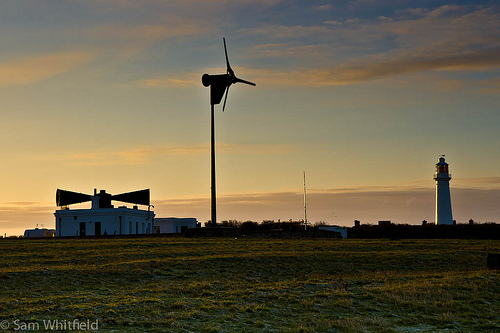 The project includes extensive renovation of the Grade II-listed Fog Horn Station, stabilisation of the Grade II-listed cholera hospital and laundry buildings, as well as repair works to the Victorian water catchment system on the Island. Environmental development is planned to improve habitats for Lesser Black-Backed Gulls and maritime flora and there will also be on-site interpretation to take visitors on a journey through the history of the island. In addition to the Island works, the project also includes plans for a large-scale public engagement venture on the mainland to promote Flat Holm. The proposed events, outdoor photographic exhibition, links with local attractions and large scale sculpture on Cardiff Bay Barrage will bring the sounds and stories of the Island through time to Cardiff residents and visitors. The project will also provide opportunities for more school groups, communities and tourists to engage with or visit the island alongside increased volunteer engagement offering more opportunities to experience living and working on this gem of an Island. The £152,200 award is the first of two phases of funding to develop and deliver the £1.3m project, with the potential of around £800,000 of HLF funding in total if successful at round two. Running parallel to the project will be the reinstatement of the jetty, a vital structure for servicing and bringing visitors to the island, thanks to a £385,000 grant from the Landfill Communities Fund. Repair of the jetty is vital to renewing the access arrangements to the island following deterioration and damage from weather and tidal conditions over many years and will serve to support the planned HLF project. Flat Holm is probably most famous though for being the site of Marconi’s first wireless signal transmission over open sea in May 1897. Cabinet Member for Leisure and Culture, Cllr Peter Bradbury said: “This is fantastic news for the Council and our partners in the conservation and development of Flat Holm. “Flat Holm is a unique attraction and one of our city’s hidden treasures so I’m delighted that we have been successful in gaining the development phase funding that will enable us to take the first step in breathing new life into the island to attract both local people and visitors to the Welsh capital. If you would like to get involved with the work of the Flat Holm Society and have opportunities to volunteer on the island, then why not join us and become a Flat Holm Society member! Flat Holm Island on Radio Cardiff! 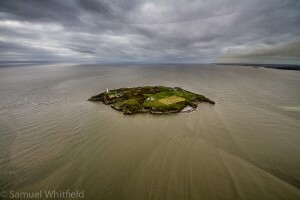 Flat Holm Island was recently featured on Radio Cardiff’s Cardiff Chronicle show. Flat Holm Society’s Peter Sampson and ex-warden Sam Whitfield were invited onto the show to chat about life on Flat Holm over the years. You can listen to the show on the Radio Cardiff’s Mix Cloud page. We still have a couple of places available on this weekend’s volunteering trip to Flat Holm Island (departing 07:15 10th October and returning 21:15 12th October). The main purpose of this trip is to is to carry out general island maintenance and various surveys including: painting, vegetation clearance, DIY jobs, butterfly survey, vegetation survey, beach clean, bird walk and autumn migration bird ringing. Free for Flat Holm Society Members. £10 for non members. Email flatholm.society@gmail.com if you would like to come along. We have submitted this year’s grant application to Environment Wales today. A big thank you to everyone who has helped with this and sent in letters of support. 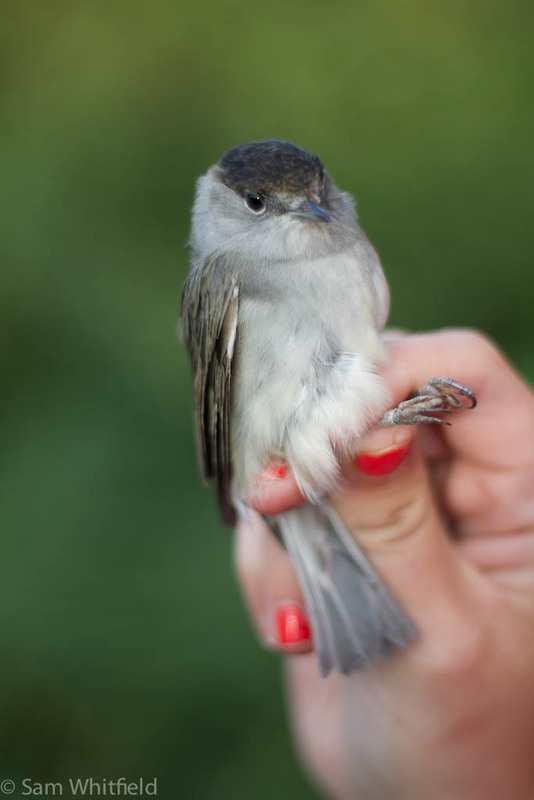 This year we are asking for funding to continue to enable us to assist in the long-running bird monitoring and ringing project. 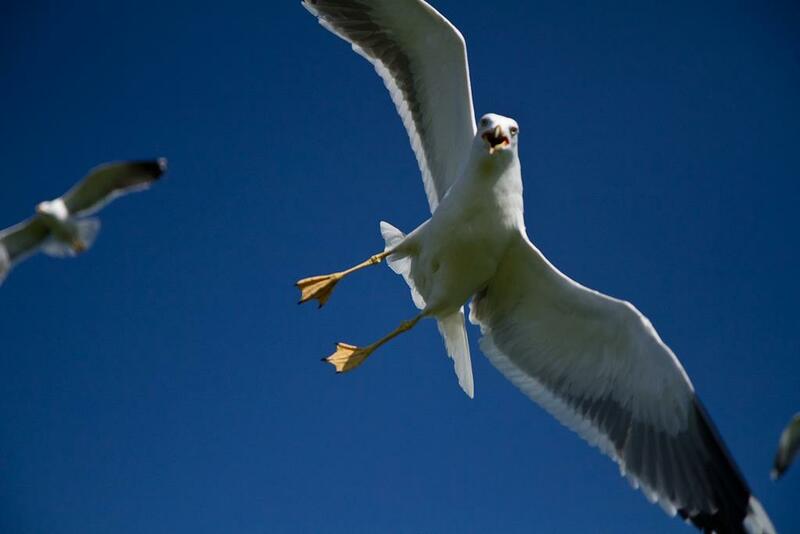 Flat Holm serves as a nesting ground for approximately 4000 pairs of Lesser Black Backed gulls. 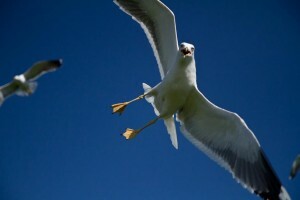 The grant will enable the society to continue to conduct gull ringing and population counts on the island. This year we are also proposing that during island visits, society member volunteers will also undertake general bird ringing and monitor other birds, butterfly, moth and bat species present on the Island. It is also proposed that the society will undertake regular vegetation surveys. It is hoped that we will be able to provide training to volunteers in survey and identification techniques for bird, butterfly, moth and bats. Finally, we are proposing to provide education in the importance of proper waste disposal and recycling through beach cleans and surveys. Surveys will show what waste is washing up on the beaches and information will be shared with the Marine Conservation Society. All items collected during beach clean activities will be recycled / disposed of in the appropriate way on the mainland. If you would like to get involved in any of the volunteer work we are hoping to carry out this year then please email flatholm.society@gmail.com . We can offer a variety of different volunteering options on Flat Holm Island ranging from one day, overnight to longer periods of 1 – 2 weeks. This year we also hope to be able to offer some mainland based volunteering activities too! Cardiff Councillors met on the 28th February 2013 to decide upon, amongst other things, how to approach the transition of the day to day running of Flat Holm Island to a new custodian organisation. The island had been proposed for “disposal”, but will now be kept in council ownership in 2013-14, with opportunities for “alternative options” explored during the year. The Flat Holm society has been working hard behind the scenes talking to the council and other organisations about the future of Flat Holm Island. We have submitted an expression of interest to the Council indicating that we want to start the process of forming a trust to run the Flat Holm. We are also in discussions with a number of organisations who have expressed an interest in getting involved. Support from the public has been amazing with 3,500 plus on the online petition. Please watch this space for more information on our campagin progress and if you can make it please come to our AGM on the 6th March in the Norwegian Church. The sailing times and dates to Flat Holm Island for 2013 have just been released :o) Sign up quick for at trip as places will sell out very fast! Details of how to book are on the Flat Holm Project Website. Interesting programme about Barry on BBC Iplayer until the 5/2/13. Eddie Butler tells the story of Barry and its island, once the biggest coal port in the world and a day trippers’ paradise. But there’s more to Barry’s history than coal wagons and chip shops. Eddie discovers the story of the sixth-century saint who gave the town its name, finds a Tudor mural and hears about the American soldiers who camped there in the lead up to D-Day. He also learns how the series Gavin and Stacey has given Barry a new lease of life.